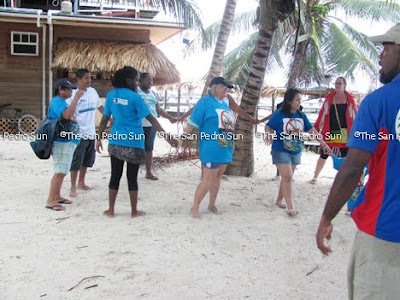 The Belize Coalition to Save Our Natural Heritage called on Belizeans who are against Offshore Drilling to actively show their opposition to this activity by joining hands across the sands on Saturday June 26, 2010. 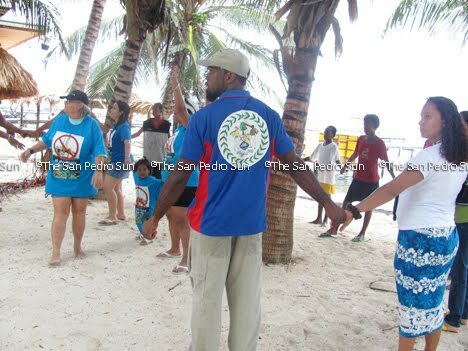 Despite the threat of the storm brewing a few miles away East of the Caye Caulker shore, representatives of the Coalition and residents of Caye Caulker turned up at 12noon to join the millions worldwide by linking hands. 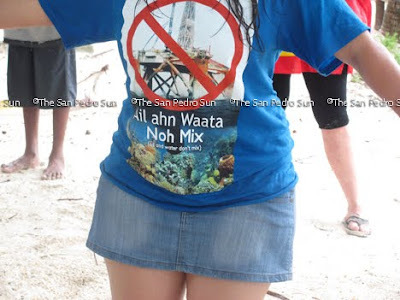 While holding hands, a chat was held, "Ail ahn Waata Noh Mix". Hands were joined for fifteen minutes, and afterwards, only footprints remained. Hands Across Sands will also be held in San Pedro, at a date and location to be announced.